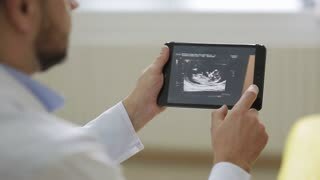 Search Results for "pregnant ultrasound"
the doctor shows a picture of an ultrasound on a tablet to a pregnant woman. 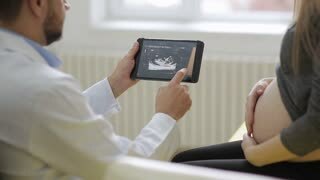 A happy future mother admires a picture of her baby's ultrasound. 2D Ultrasound display of 28 weeks pregnant. Fetus ultrasound image that show important organs. 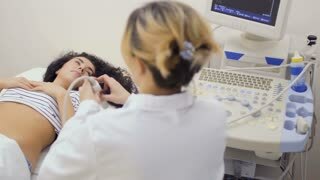 Female gynecologist is carrying out an ultrasound procedure on a pregnant woman. Medical ultrasound scan. 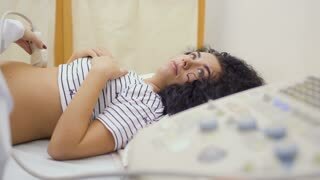 Pregnant abdominal ultrasound testing in the last days before the birth. In the Hospital, Female Obstetrician Puts Gel on the Belly of a Pregnant Mother, Ready to do Ultrasound Screening. Father Diligently Supports His Pregnant Wife. Happy Family. Shot on RED EPIC-W 8K Helium Cinema Camera.